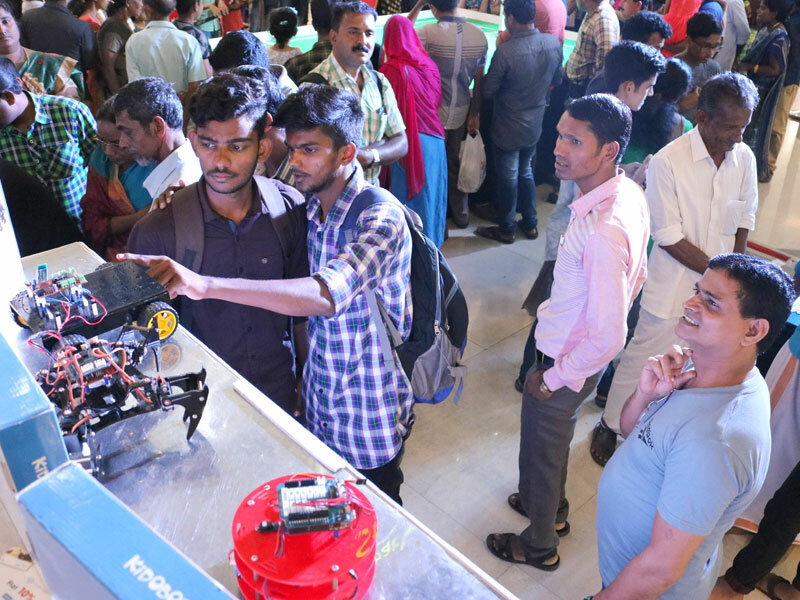 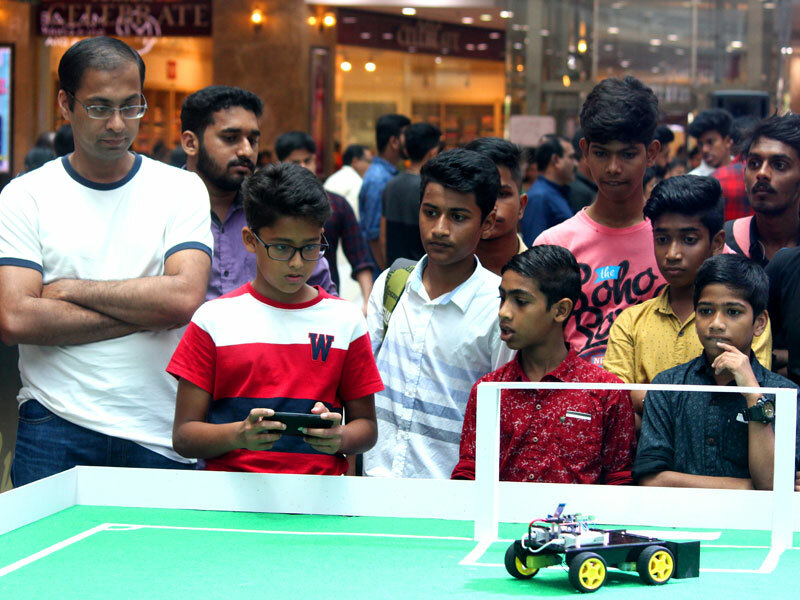 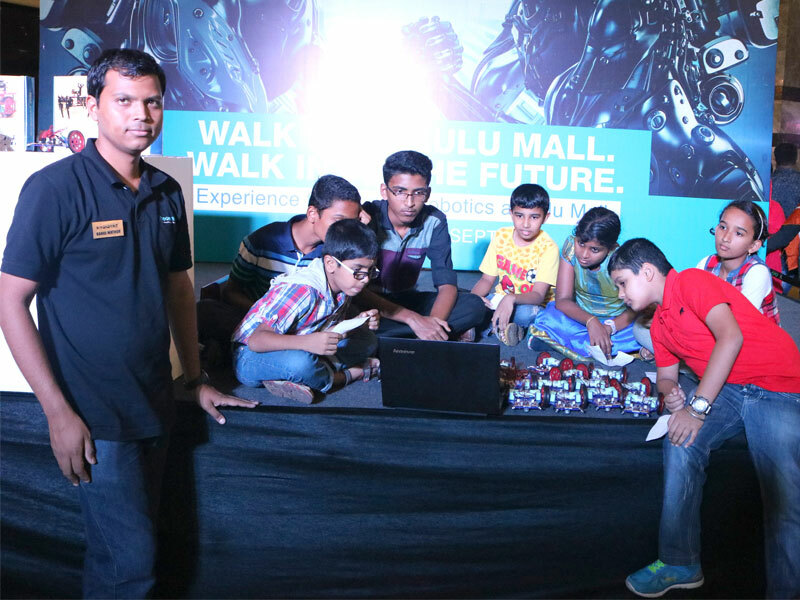 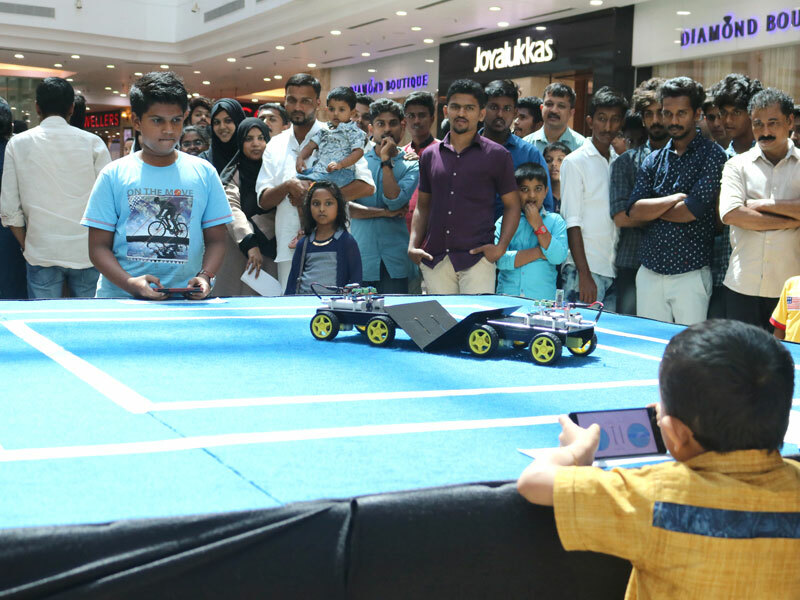 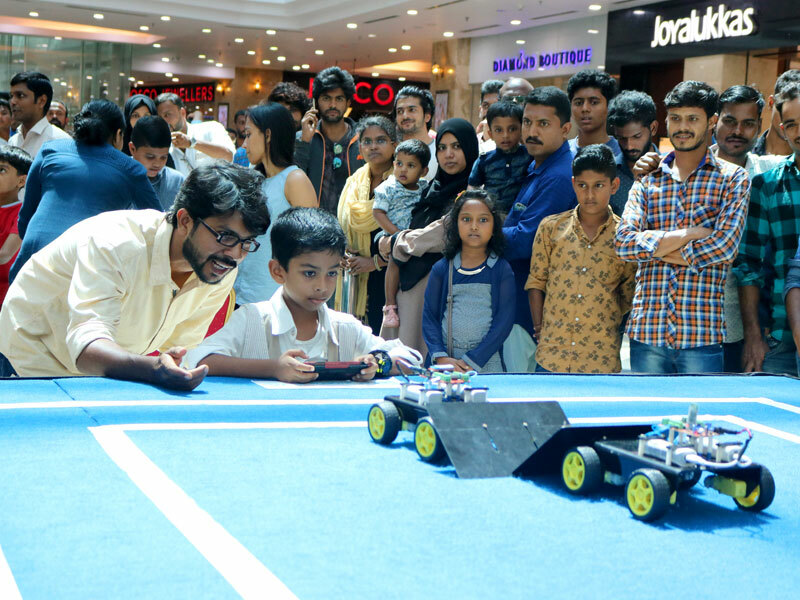 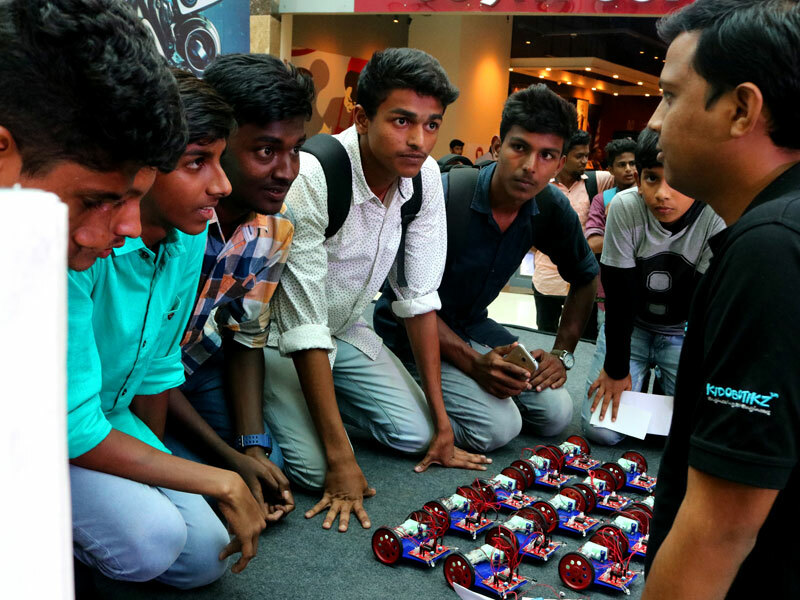 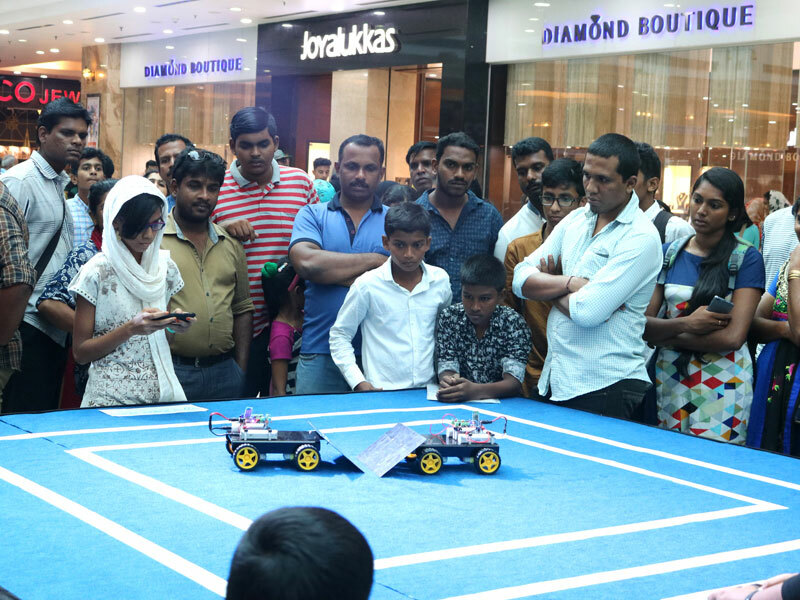 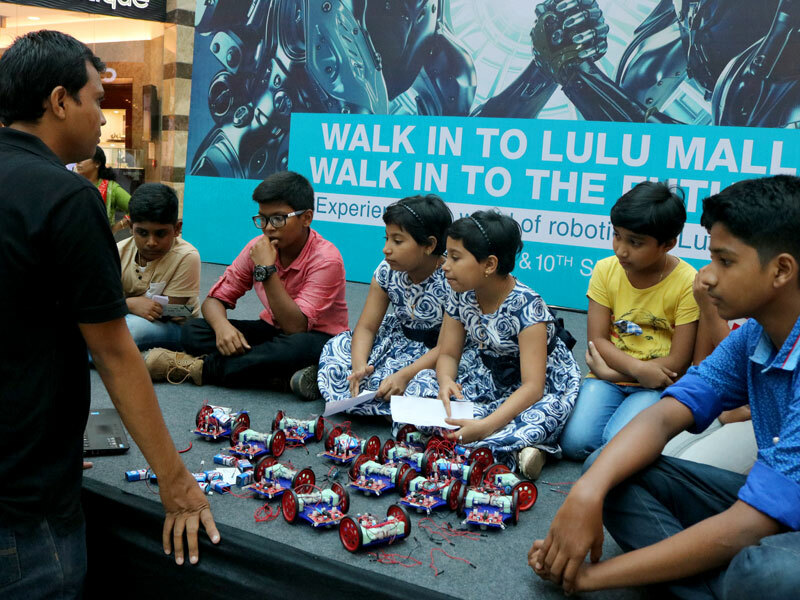 Robo Utsav - A robotic event, which was conducted at LuLu Mall, Kerala in association with SP Robotic Works on 9th and 10th of September, 2017. 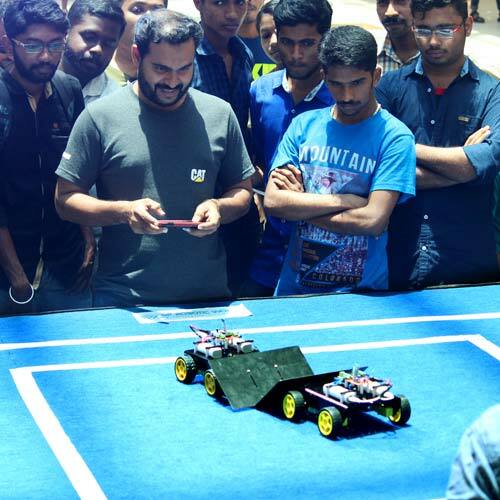 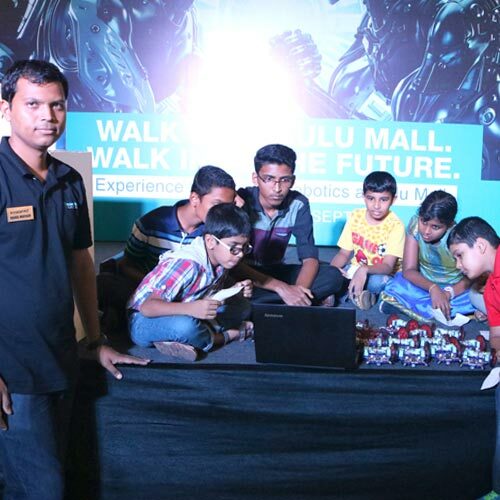 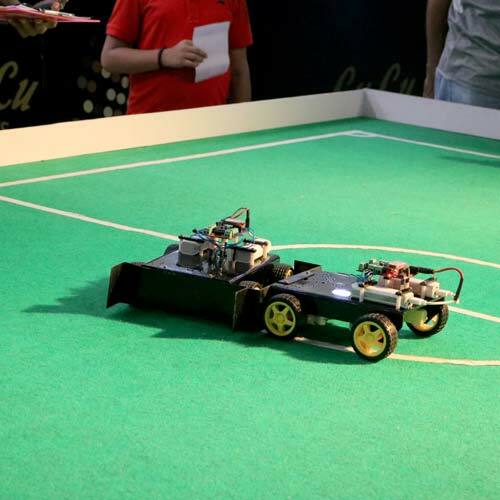 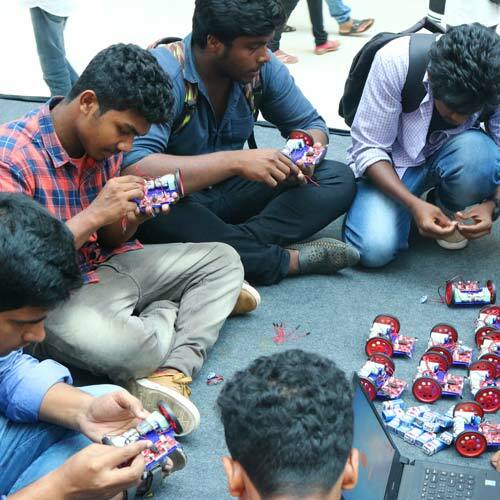 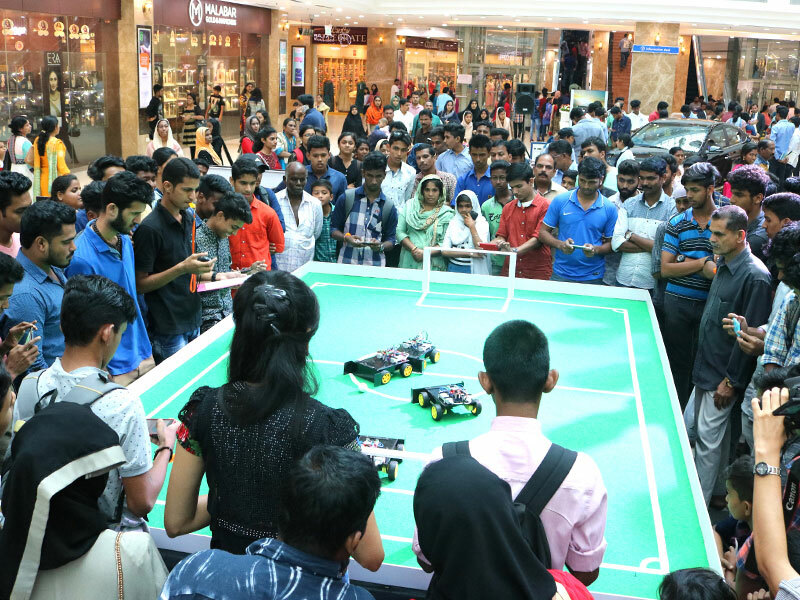 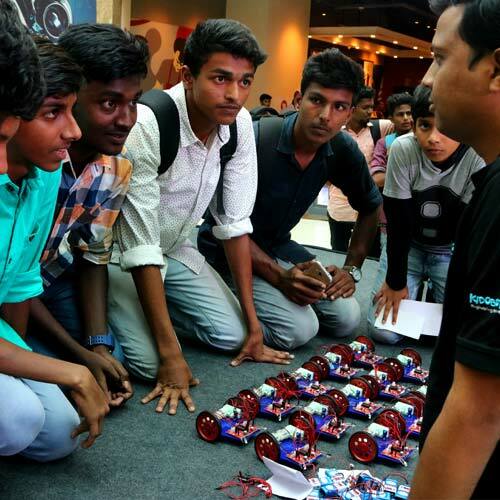 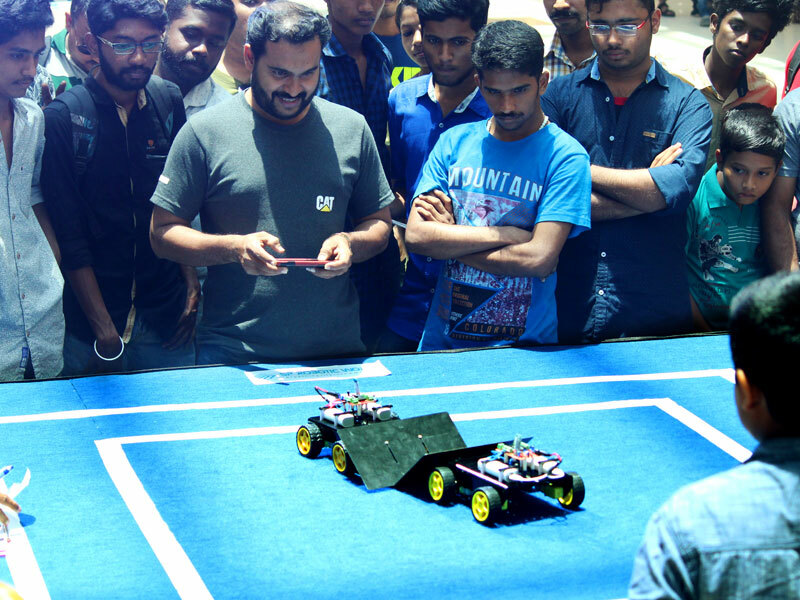 The event saw team SPRW hosting its unique Robotic games for robotic enthusiasts from in and around the city of Cochin. 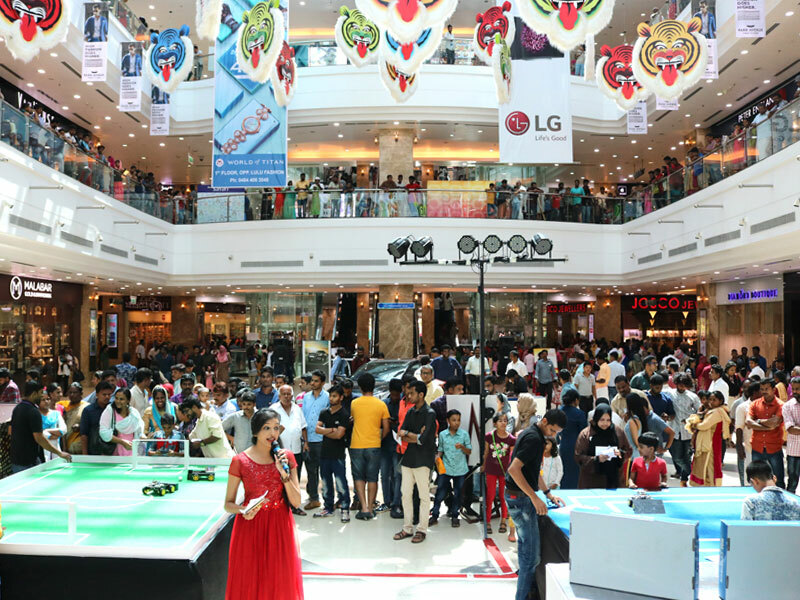 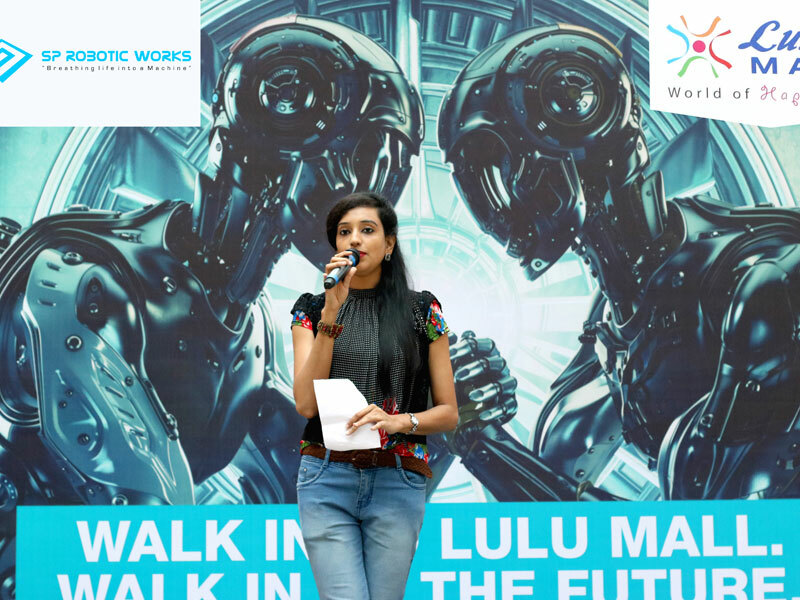 The event agenda was to provide an introduction to the future technology as well as to have fun through that to the audience at LuLu Mall. 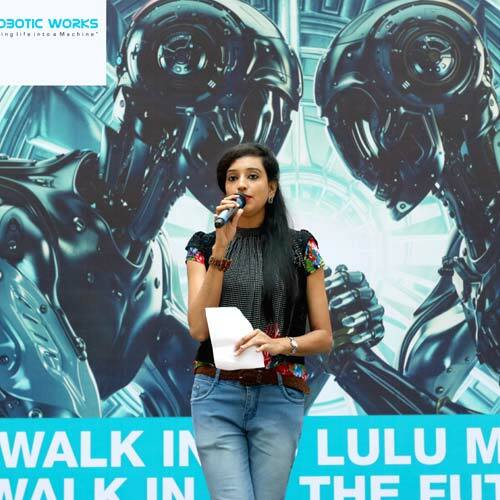 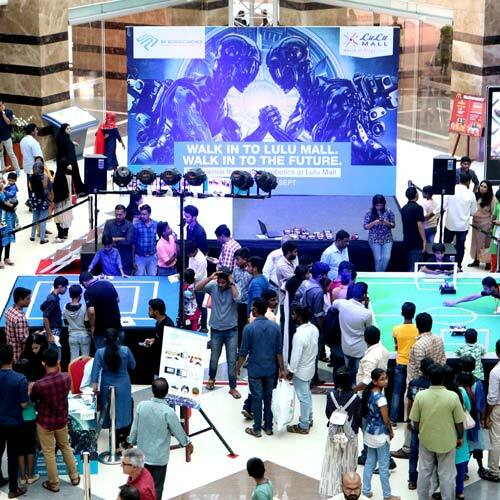 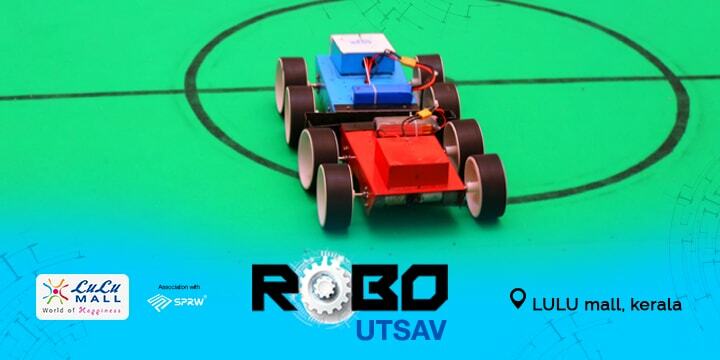 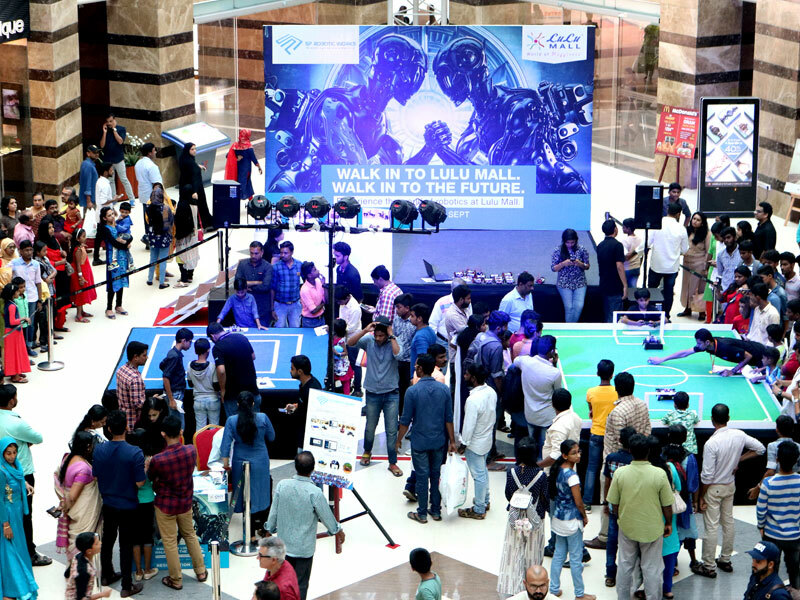 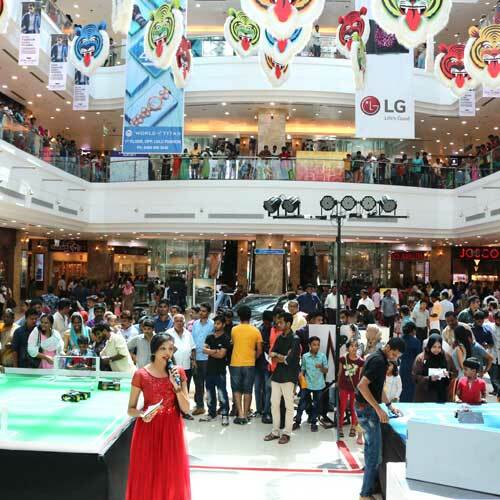 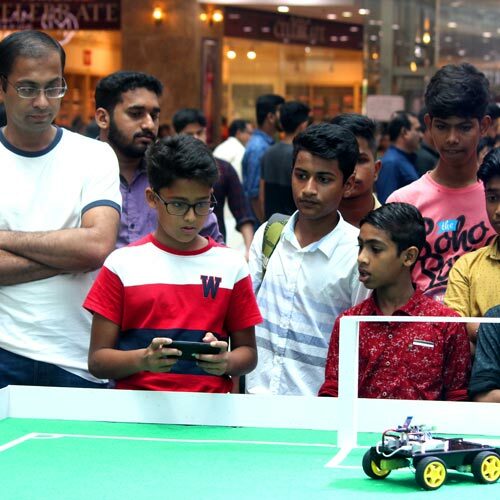 The desire to host an innovative and informative event that was meant to enthrall the audience and bring in a wow factor encouraged the promoters of the LuLu Mall to reach out to SP Robotic Works for conducting this Robo Utsav at their mall. 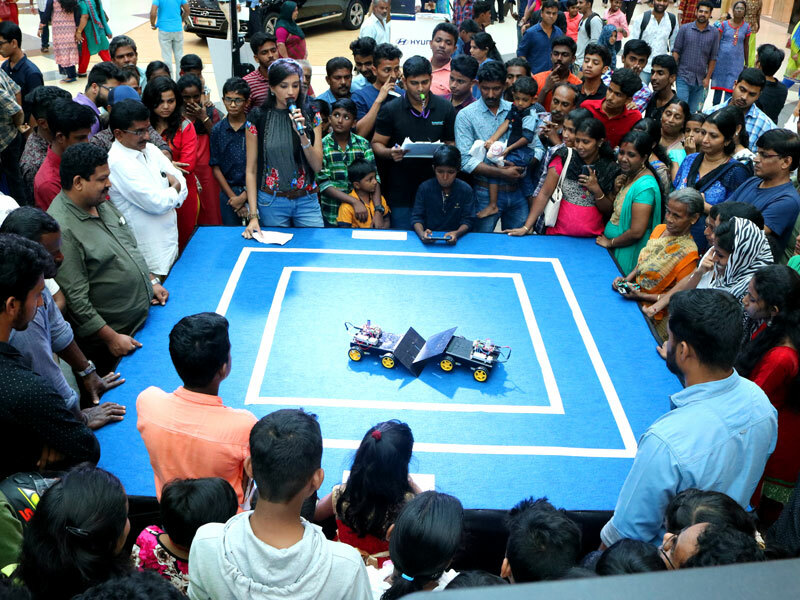 The audience were excited by having the touch and feel of an actual robot and the best part was they were playing around with those robots as well as saw what's the concept behind it. 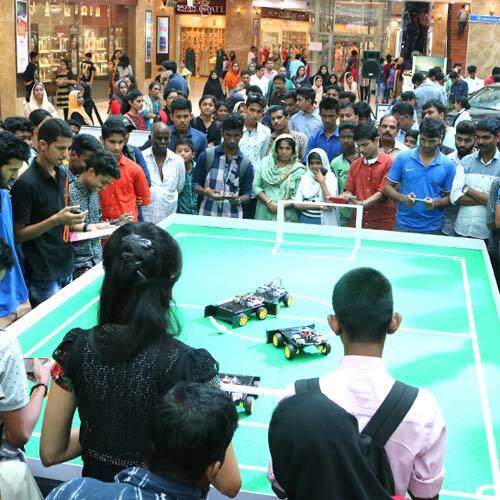 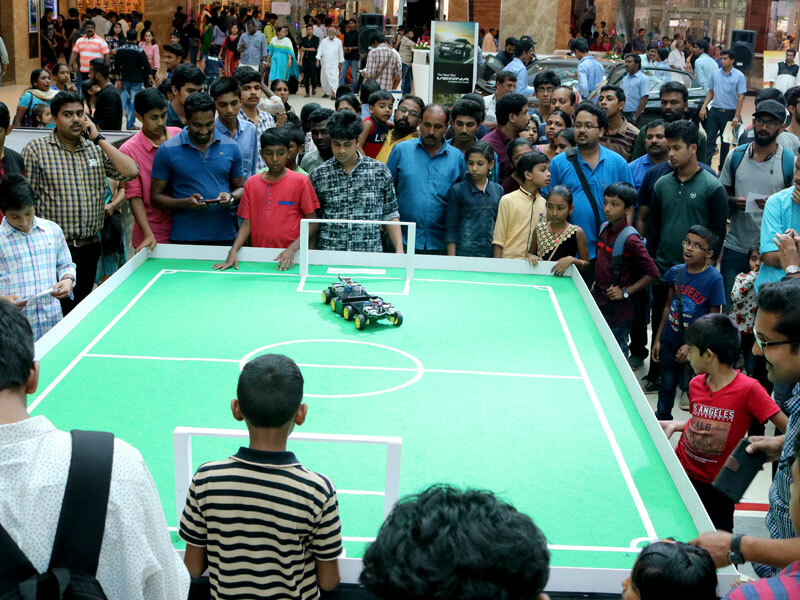 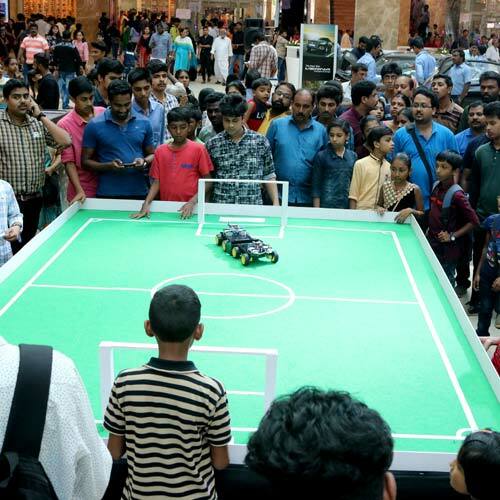 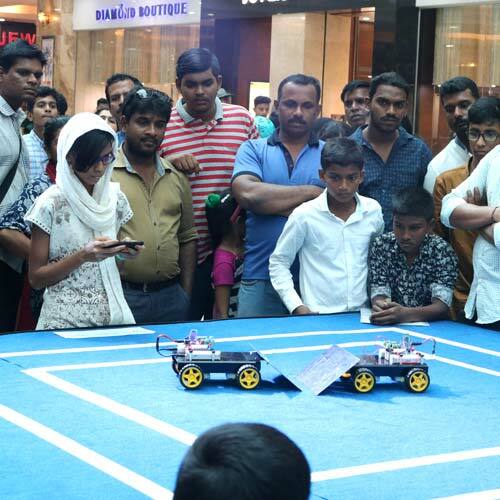 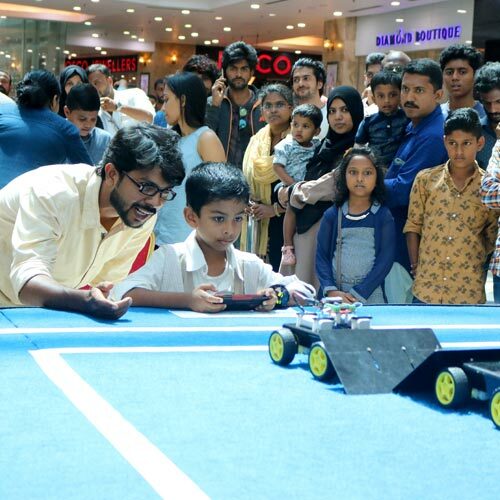 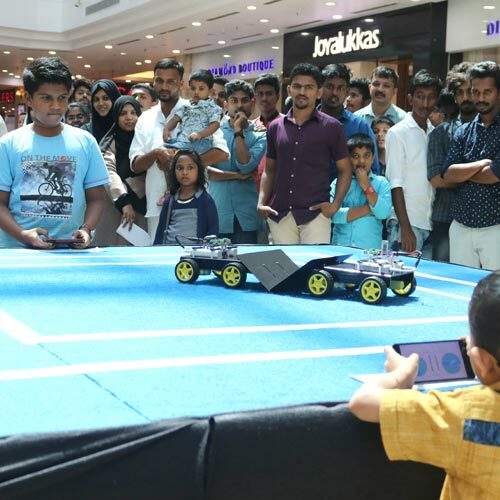 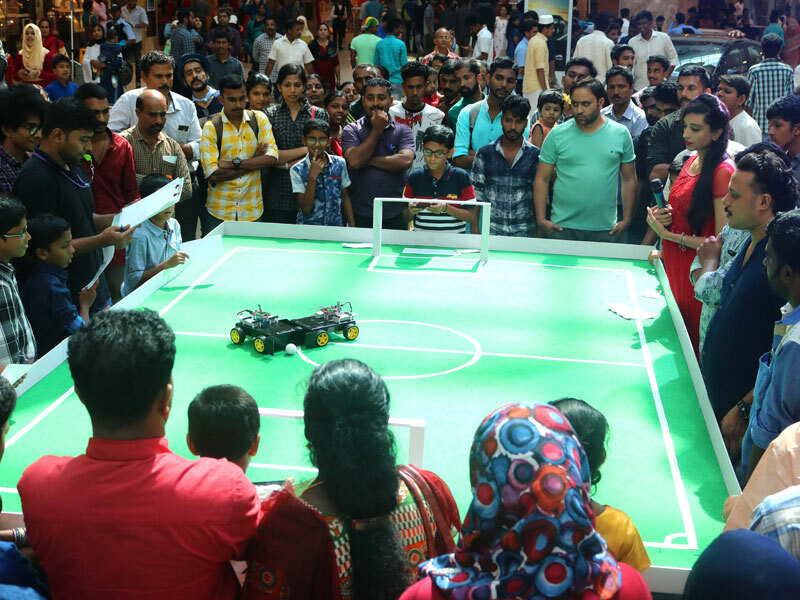 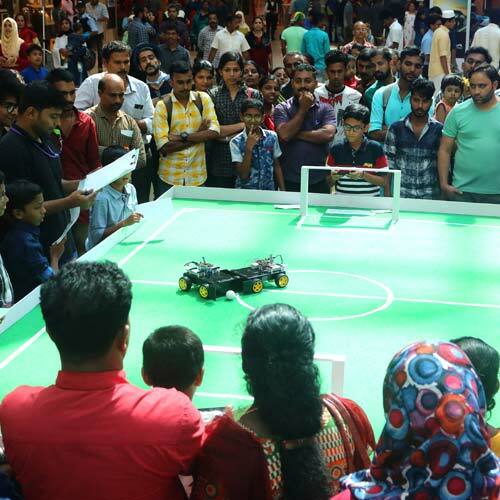 The Robo Utsav happened right at the last weekend of Onam Holiday to make this year Onam a memorable one at LuLu Mall, Cochin by the team from SPRW. 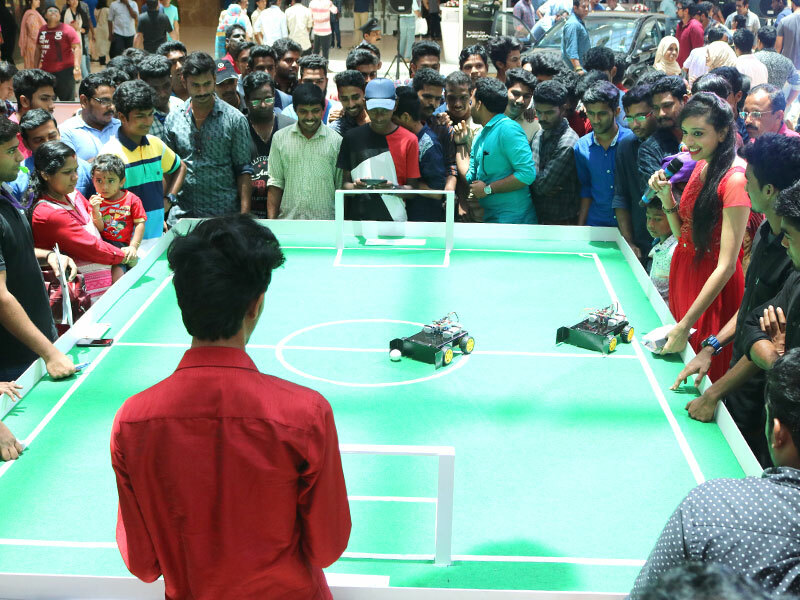 Interesting games such as Robo Soccer and Robo Sumo were conducted,these games saw a great welcome among the participants. 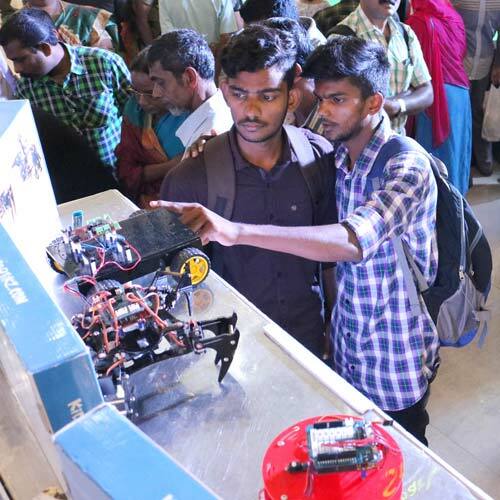 A huge number of participants played and understood how these robots are made and controlled. 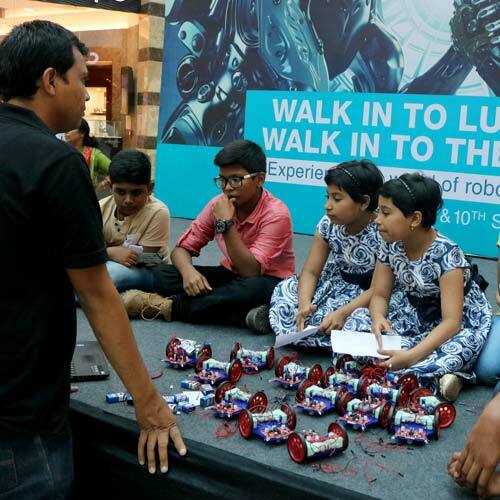 Alongside these events, there was a basic robotics workshop took place. 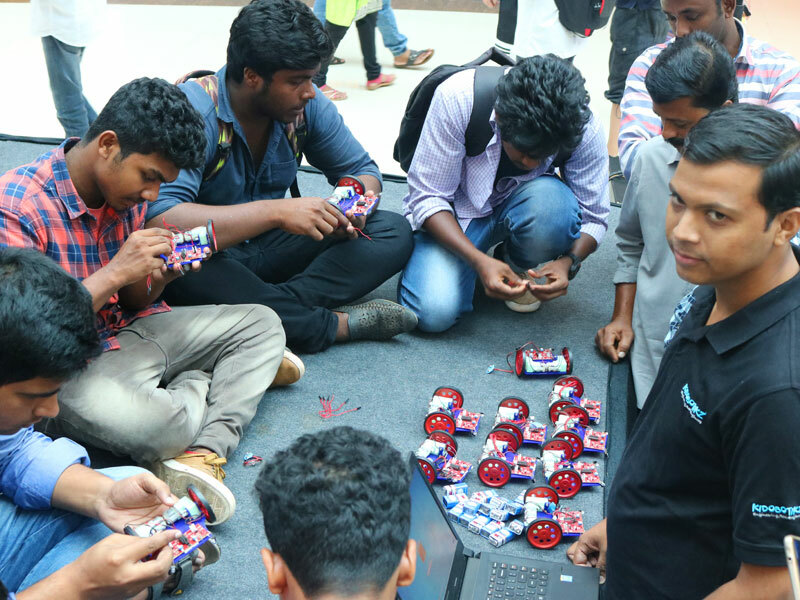 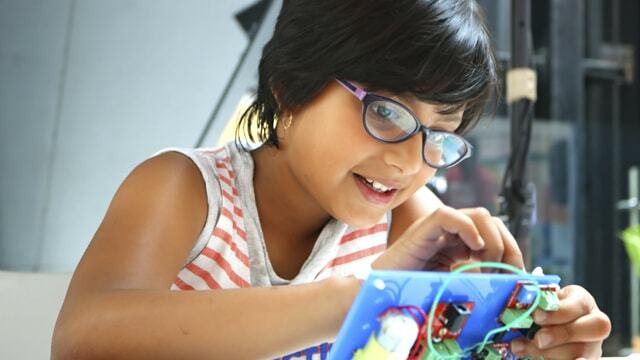 Lot of interested participants enrolled for this workshop and learned the basic concepts of robotics, they also made a mini robot which can roam around without hitting any obstacles, this enabled the visitors not only to have fun but also learn at the same time. 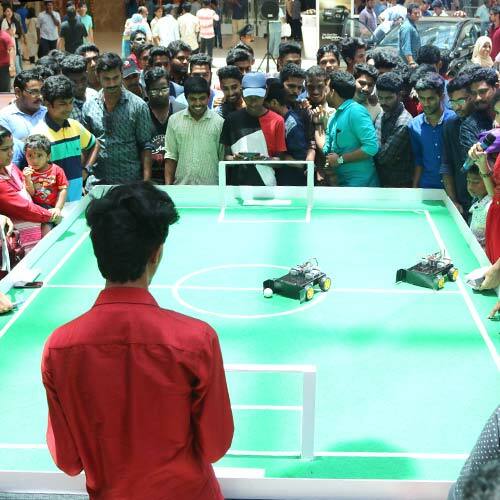 VENUE : LuLu Mall, Cochin, Kerala. 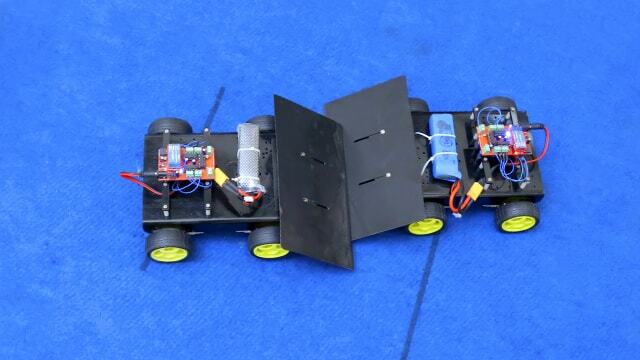 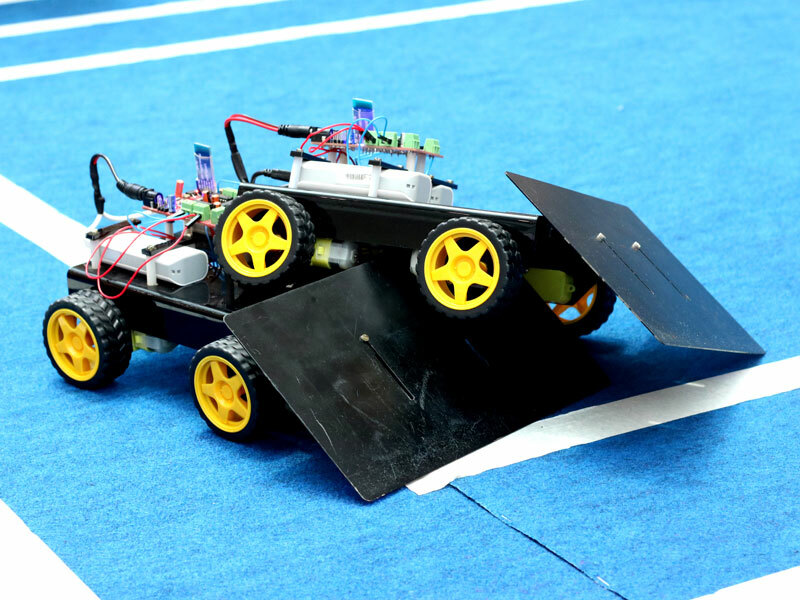 Build a miniature autonomous robot performing more than 7 activities with complete understanding. 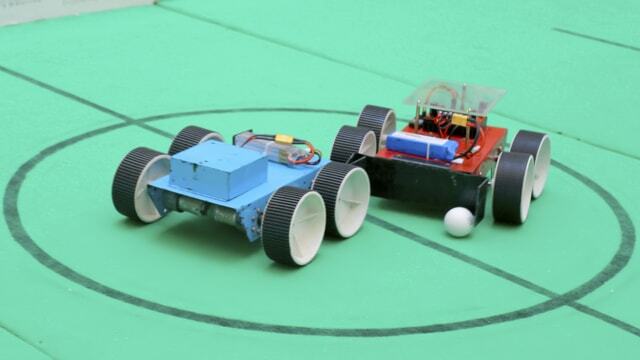 Robo Sumo is an event involving two participants battling out a game of Sumo using robots. 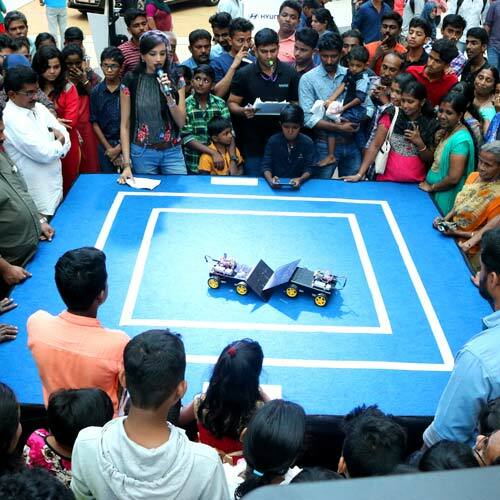 The robots will have to try and push the opponent out of the ring to win the game. 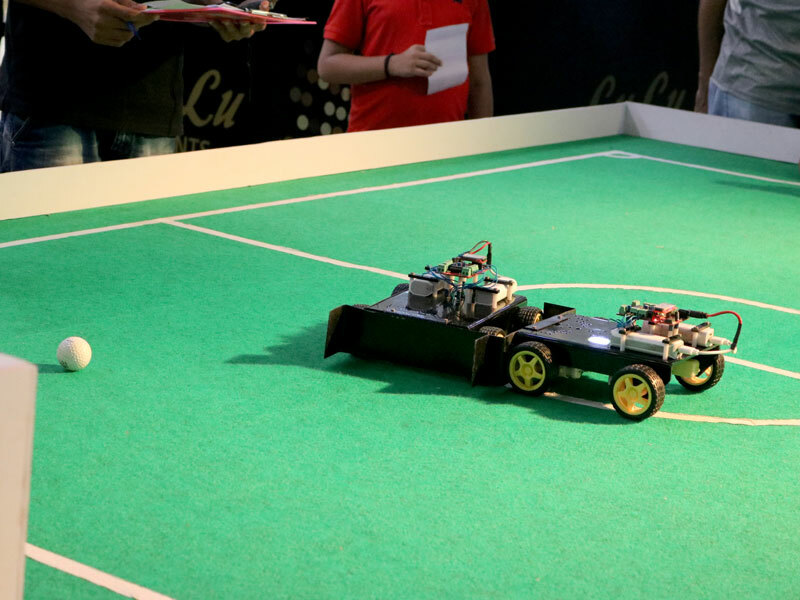 A typical soccer game replaced by robots, the players must control their robots and score a goal against the opponent. 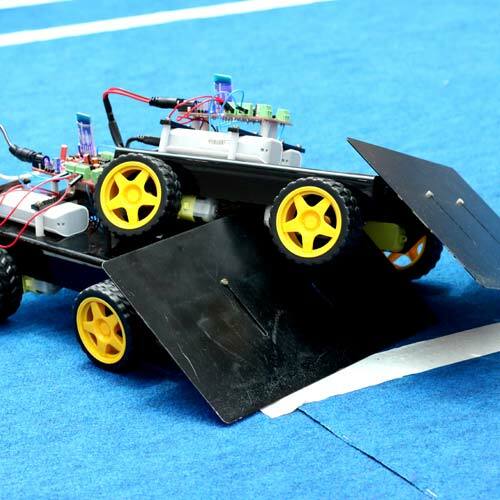 The ball will be placed in the center of the arena.